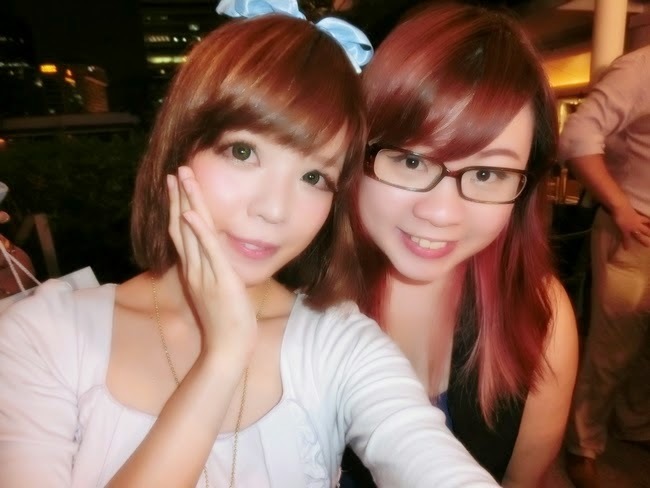 I'm finally back to blogger's event after sooooo long! As the long title suggest, this entry is going to be about Influr, the NEW Laneige BB Cushion and Marriott Pool Terrace Pavilion. It's seems very overwhelming, but let me make it digestible for you! The event was held at Marriott Pool Terrace Pavilion, a popular venue for wedding couples to say "I Do" in their ideal resort-style solemnisation setting. Why hold your wedding in Bali when there's such a nice hotel in the centre of your favourite shopping haven, which saves the hassle of flying your loved ones overseas? The presentations were held in this beautiful pavilion, which is a great place to hold your guests should the heaven be touched to tears during your event. 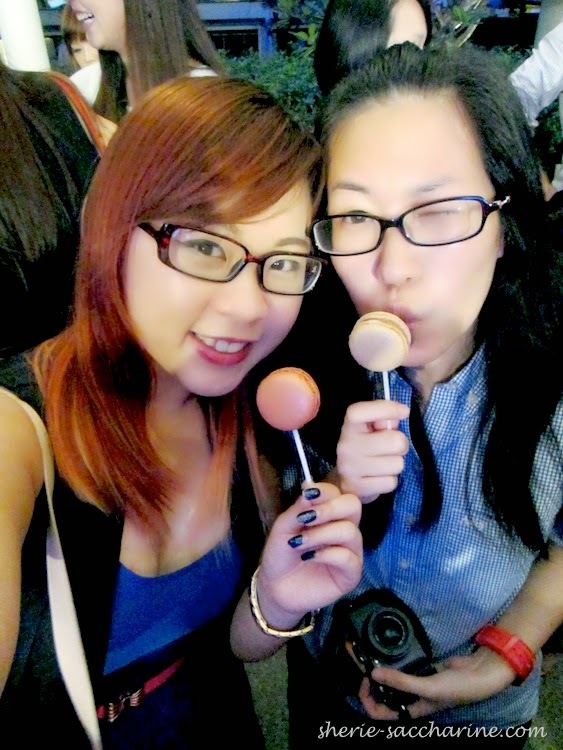 Other than the refreshing longan and lime cocktail to quench our thirst on the humid day, delectable canepes were served too! There were some other delish being swiped in seconds before I could even snap a shot! Yums!! Everyone loves the poached prawn with Mango Salsa, we ate not just ONE! Who can resist such adorable Macarons! At least Kaman and I love it! So app for a photo opp. 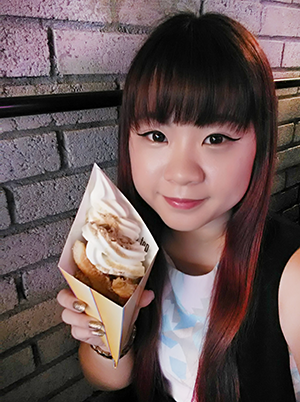 Co-founder, Clara Chen shared some of the concepts of Influr, and how it benefits both the social influencer and businesses! So here's a short introduction about what Influr is about. 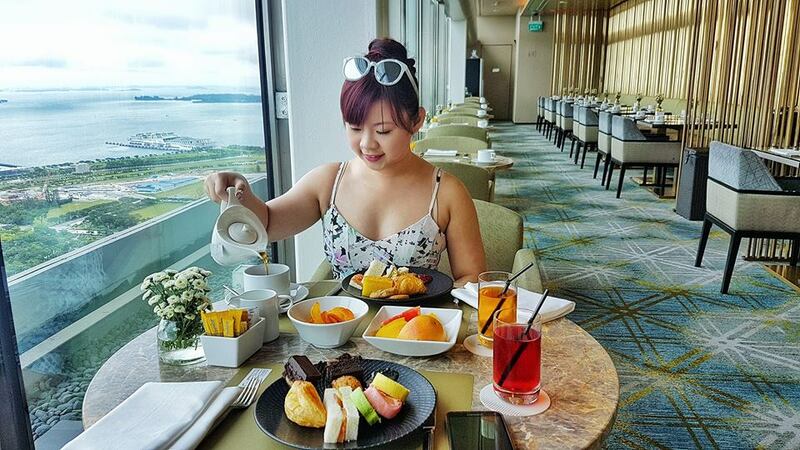 You may think that you are just an ordinary person, not a blogger, so this is not for you. If you love sharing stories, good deals, interesting news and humour on Facebook, Twitter or Instagram, and usually gets a lot of Likes and comments from your friends/followers, you are already a great INFLUENCER! 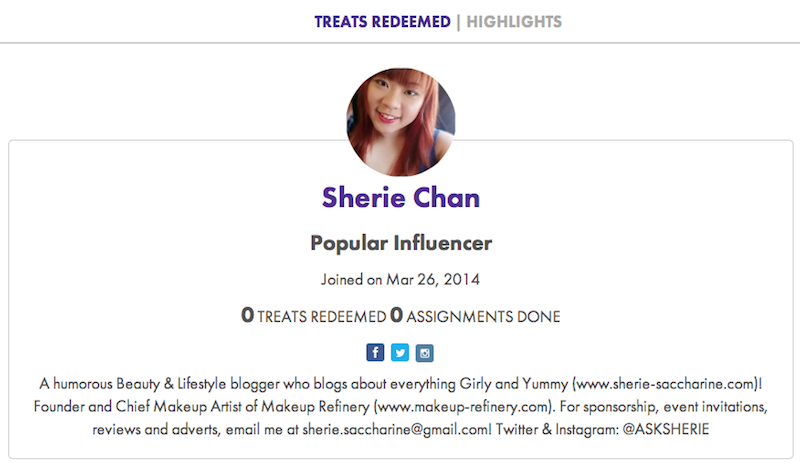 Influr is a great tool for you to find out your influence level, and get rewarded with Influr treats! Visit www.influr.com, and log on using your Facebook or Twitter. CONNECT your respective accounts to Influr. Check out your status of influence. If you have successfully climb to Elite Influencers, it's time for some exciting assignments! 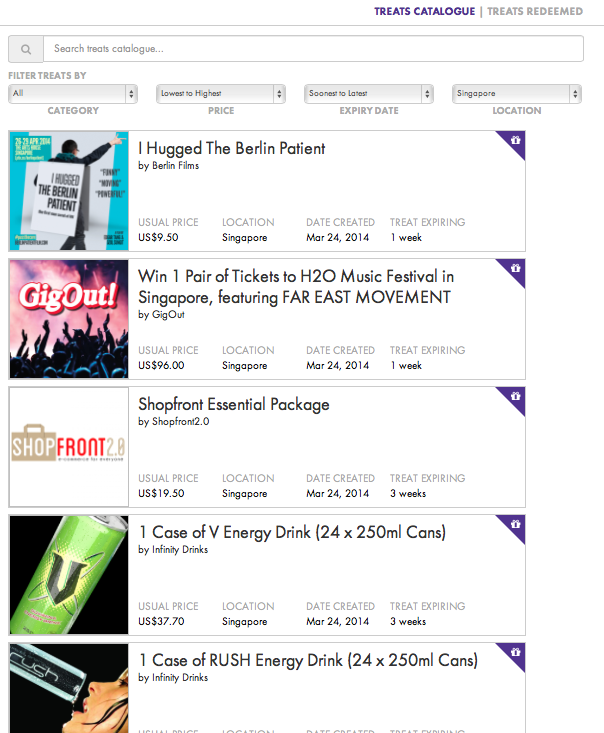 You may even get the opportunity to be chosen as a brand ambassador and get paid for them ($$$)! In order to increase your level of influence, create content on your social media sites that invokes interactions from your friends/follwers. If you are not an Elite Influencer yet, don't despair. 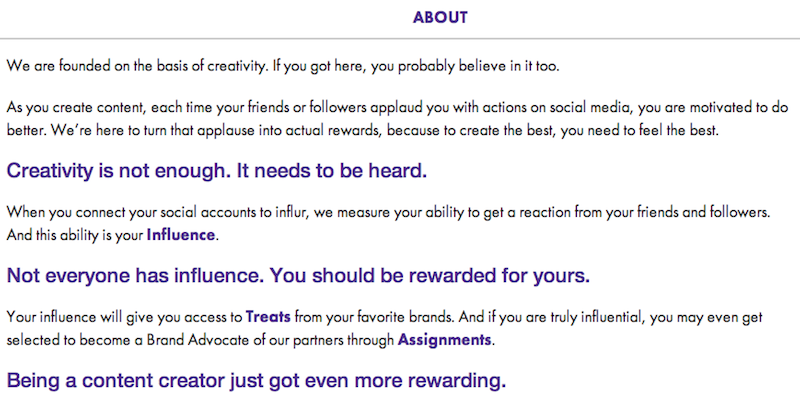 You get to receive Treats from Influr based on your level of influence too! 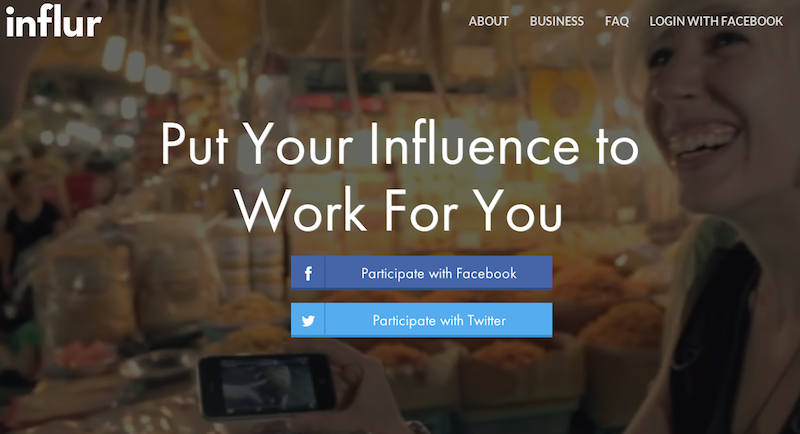 To find out more about Influr and how it benefits you as an Influencer, check out their FAQs! Yes! 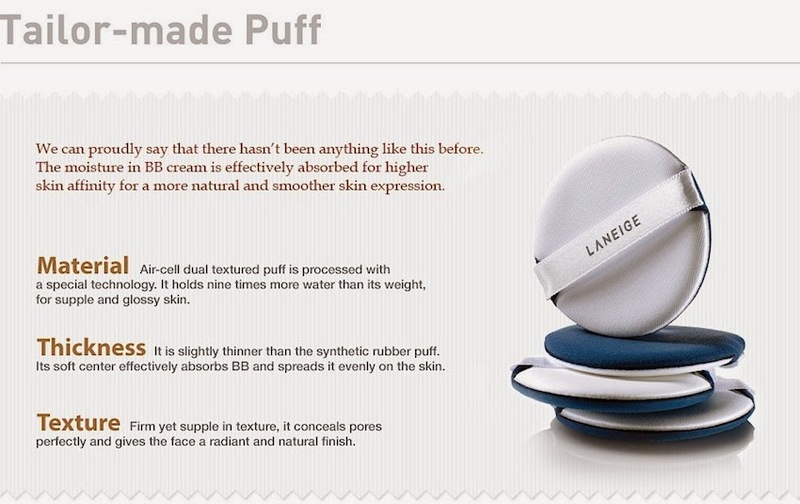 Laneige BB Cushion is back with better benefits to satisfy your desire of vanity! This awesome foundation is a global million seller with 1 piece sold every 10 seconds!! 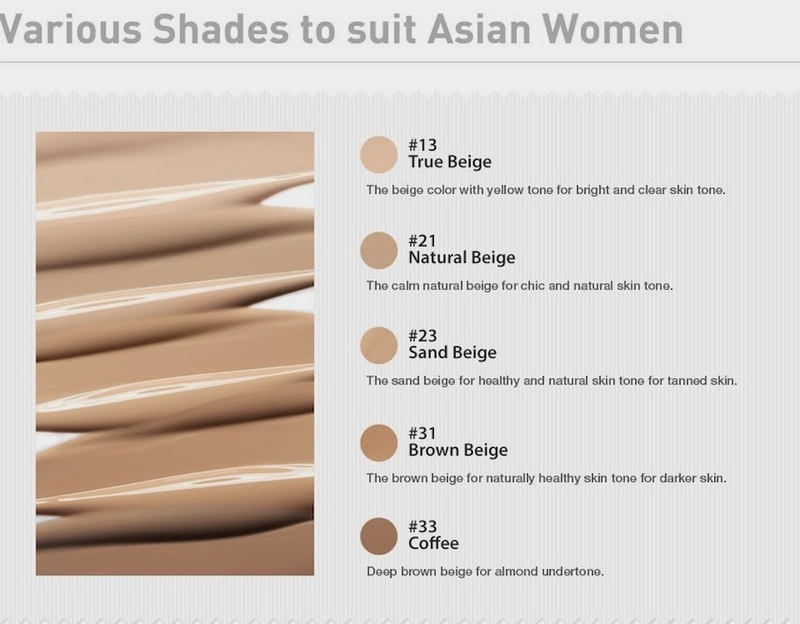 Here's some quick intro from www.laneige.com.sg! Even the puff is tailor-made! Talking about sincerity man! Included in the goodie bag was a full-sized BB Cushion in #21 Natural Beige, which was suitable for most Chinese. 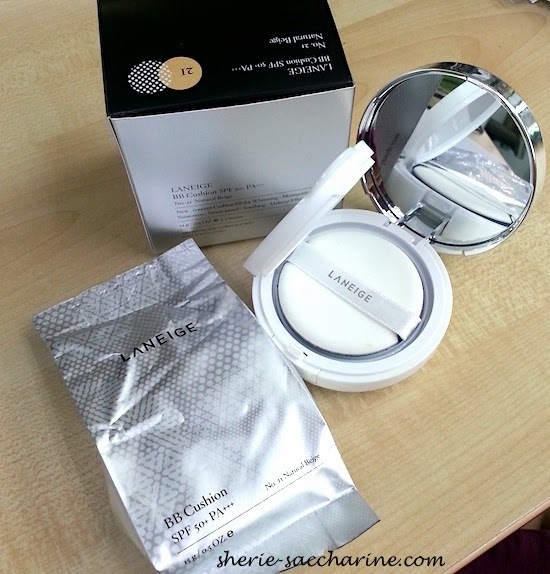 A new box of Laneige BB Cushion is now retailing at S$59 with a additional refill. 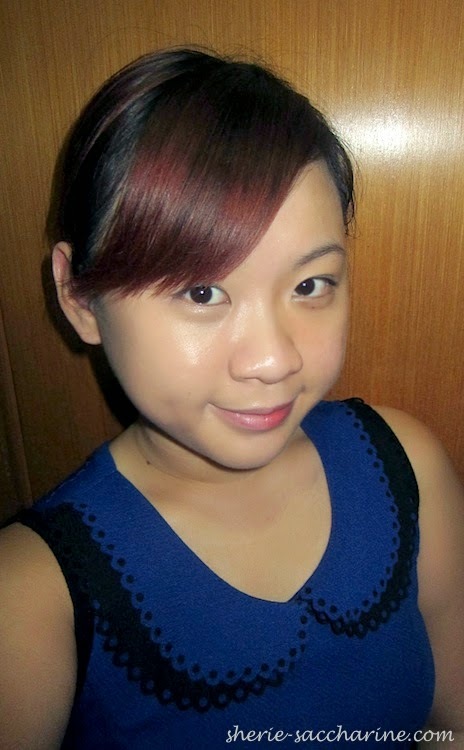 Here's a "glamourous" mugshot of me sporting Laneige BB Cushion on the right of my face. Please look at the difference it made on my dark circles! This was the result of just the cushion alone, without any concealor or powder. I reckon that the water-resistant feature of the BB cushion is great, because I can now conceal my pink lips so as to achieve the Korean sweet ombre lips just by applying some sweet cherry tint of the inner lips! Let me GLOW! Let Me GLOW!!! If you are afraid that dewy skin will look too oily on your already oily face, pat on some loose powder and enjoy the long-lasting effects of the new cushion! Oh.. And the foundation smell super nice too! I love how it lingers after I applied that on my face! More details on the new BB Cushion can be found here. 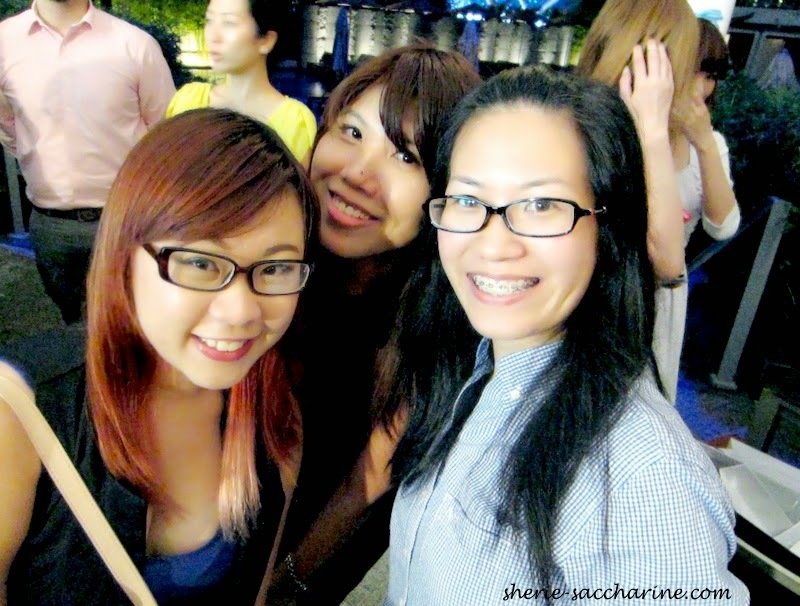 Last but not least, here are the happy ladies, Jessie, Kaman and Kelly at the event too! I love how events offer me so much fun, goodies, knowledge, and of course opportunities!